In the past 8 years working for coach Racine, I have learned so much more about goaltending than in my 18 previous years of playing the position. The skills that make up the curriculum of the Racine Goalie Academy are skills that are mandatory to know to reach the truly elite levels of hockey. Coach Racine enstills his passion for hockey in all of his students to reach their full potential. In all my years of hockey, I have never met more of a true professional than coach Racine. Working along side Bruce has allowed me to climb the coaching ranks so quickly. I enjoy being on the ice with Bruce, he works you hard but you know you are getting better. He tells you what you are doing good and what you have to do better! Bruce teaches you more in 1 hour than you get all season with your team. My son cant wait to get to the rink with Bruce. We are lucky to have a former NHL goalie instructing our son. Coach Bruce Racine always makes me work to my fullest potential. He is able to spot my weaknesses and develops drills to make them strengths. I've been working with Bruce for over 9 years and I would not have become a better goalie without his help. Coach Racine takes a personal interest in my development and takes the time to check in and see how my games were. I look forward to every opportunity I have to work Coach Racine. Speaking as a teacher, Bruce is one of the deftest teachers I've ever known, and I routinely tell others how he seems to code-switch effortlessly between the 8 year old, the 12 year old, and the 16 year old, all within the same session. Bruce has my full confidence and my deep gratitude. Bruce helped me improve my lateral movement, positioning, and other necessary techniques needed for success in the crease. Coach Racine is on the cutting edge of contemporary goaltending. 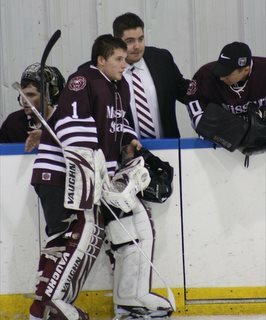 Really nice coach who helps me be the goalie I want to be. Bruce Racine is a great coach who shares his passion of goaltending easily with kids of all ages. He tailors to the individual player, no matter what level of play. Excellent instructor and well worth the investment! We saw improvement in our son's technique after only a few sessions with Bruce. Finally St.Louis has a top notch training program just for goalies. 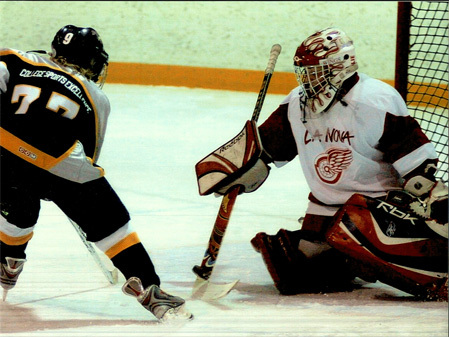 I have taken my skill, knowledge and confidence as a goalie to a higher level of play since working with Mr. Racine. My experience for a second year at the RGA gives me the opportunity to graduate from Pee-Wee A to Bantam CC in the Québec area. All the staff were great with me, some of them tried to talk to me in french and that was very appreciated. The technics and skills were shown with facility and passion, all of us had no reason to fail! 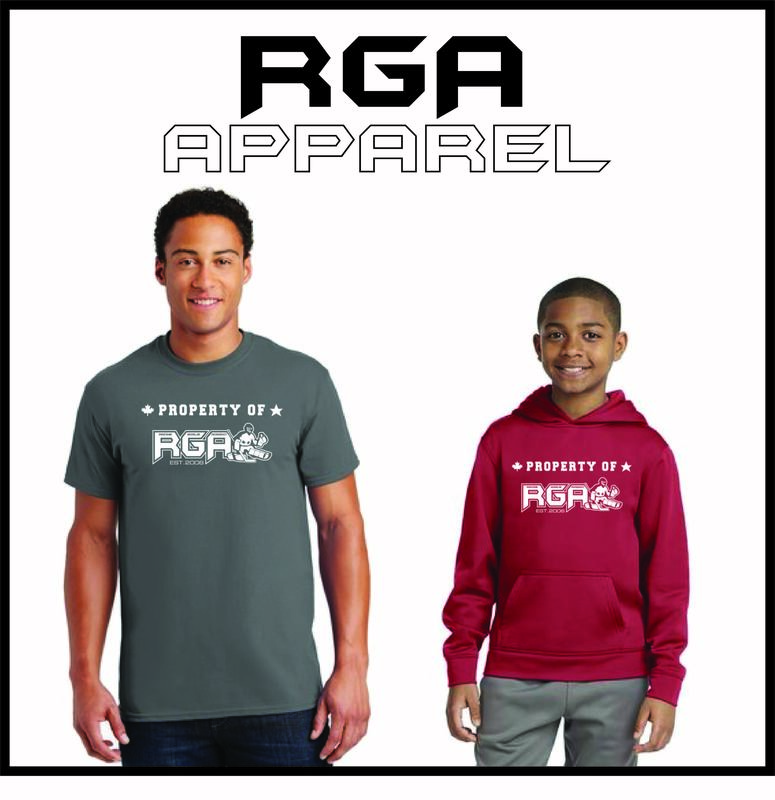 Hope to have a branch of RGA in Canada (Québec). Thanks to Bruce and staff! 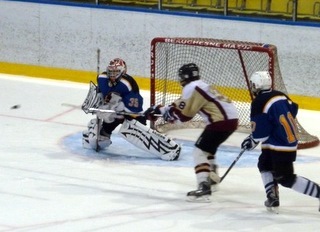 I used to go to Toronto for camps and then work with my dad on my goaltending. Then my dad and I met Coach Racine. 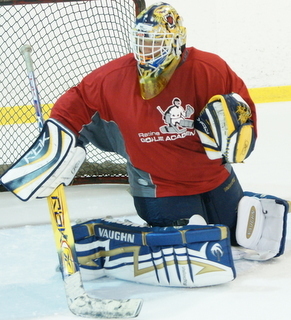 I couldn't wait to work with a former NHL and Blues goaltender as my coach. I think I always worked hard, but Coach Racine shows me how to work harder and smarter, that there is way more than just making the save. I can feel my confidence and my game getting stronger and stronger with our weekly workouts, I can never thank my dad enough for getting me the best coach in Coach Bruce. For years St. Louis Goaltenders have been starved for great personal coaching. Our goalies usually got goalie dads like myself and a one week trip to Canada for a camp. For my son Trevor and I that all came to an end when we met former Blues goalie Bruce Racine. We now have world class coaching in our backyard and my son Trevor gained a personal coach and we both gained a friend in Bruce Racine, they work hard together and the difference in his game has been amazing. I cannot thank Bruce enough!! 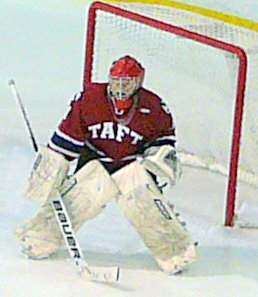 When I was a young player in the 70s, goalies were told to "just stop the puck" and that was the extent of our training. 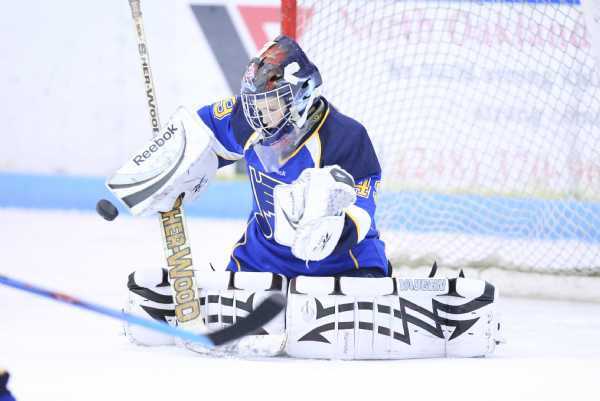 As the goalie coach for the St. Louis Lady Blues AAA Ice Hockey program, I wanted to make a difference for our young goaltenders. I was lucky to meet Bruce Racine. Over the past several years I have recommended my goalies to the Racine Goalie Academy for training. Bruce has generously shared his knowledge with me and has helped me to become a better coach. By extension, the goalies I work with now have all attended the Racine Goalie Academy and are a joy to coach. The instruction received at RGA serves to reinforce what hints I give to goalies during practices and games. Through RGA, goalies have a better understanding of the physical demands of the position. More importantly, Bruce helps goalies with the mental aspect of the game - something so important but often missing from a training program. I cannot thank Bruce enough for his time, enthusiasm and selfless sharing of information to make goalies and goalie coaches the best they can be. I recommend the Racine Goalie Academy for any goalie of any age or gender who wants elevate their game to the next level.